For Sale, Luxury Contemporary Villa Project in Camarrocha, Moraira,Alicante, with sea views. 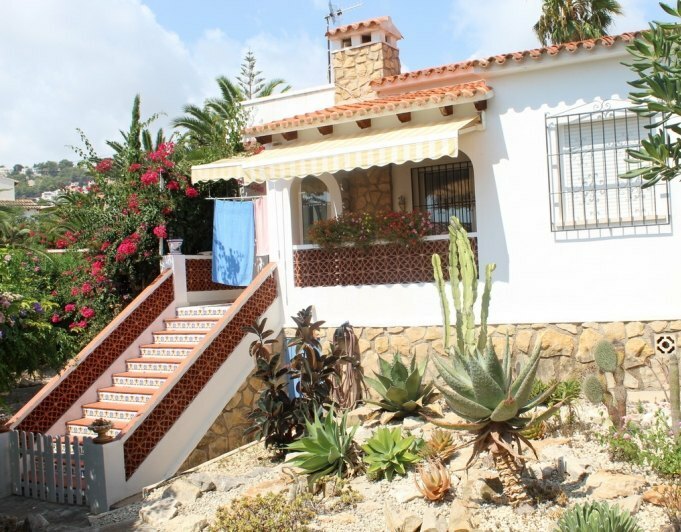 800m2 plot, located in a nice and quiet residential area of Moraira, just 2,5kms the quaint village and its beaches. With construction of 275m2 and 4 bedrooms and 4 bathrooms, this super modern design with open spaces, lots of light and contrasts, brings high-end qualities, including windows' hi-tec 'solar smart glass', home automation system, underfloor heating, A / C, automatic entrance gates, outdoor shower, security electric blinds, parking for 2 cars. 2 LED cameras. 8 x 5m pool. This property is distributed on two floors, large terraces, swimming pool, perimeter walls and the front facade details, with natural stone. Upper floor master bedroom, en suite shower room, dressing room and private upper terrace. Building license fees not included. Building specifications available.